I just finished reading an oral history of The Simpsons. Learned a lot of good trivia. The early days are obviously the best. Back then, the celebrities who made cameos used aliases. When Homer met “Michael Jackson” in the mental hospital, it wasn’t John Jay Smith who did the voice. It was Michael Jackson. 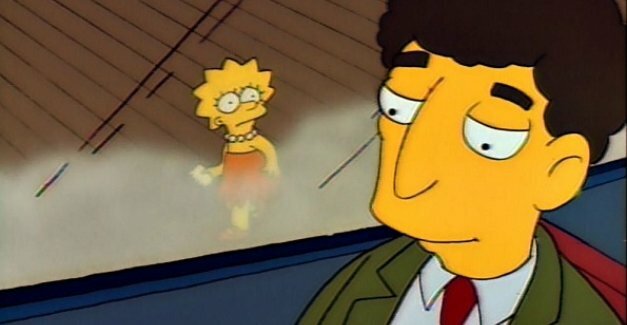 One of my favorite episodes was when Lisa fell in love with her substitute teacher, who was being played by Dustin Hoffman. That brings us to our Question of the Week. Get it right and I’ll eat your shorts. The answer, as always, is after the jump. Answer: Sam Etic. Get it? ‘Cause he’s Jewish. Sametic. Semitic.